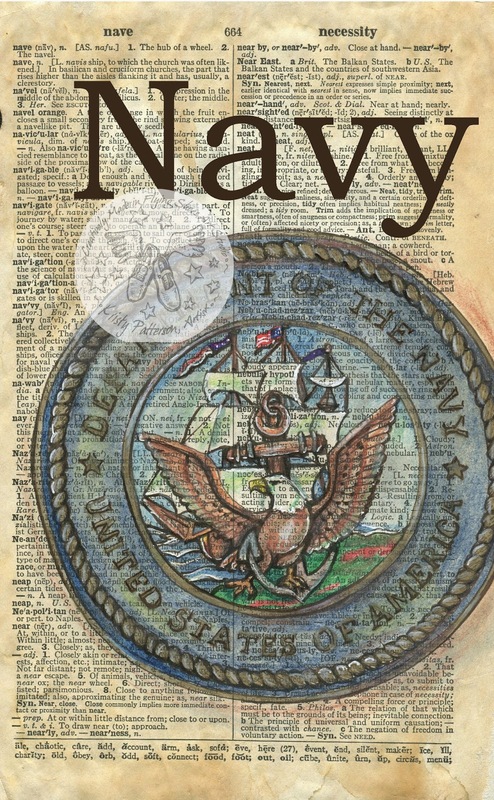 I have been asked to create a series of dictionary drawings that feature different branches of our armed forces. I decided the best way to honor the military is to create drawings of their respect seals and emblems. To start this series I wanted to begin with the one that is closest to my own family. I have two brother-in-laws who were in the navy. For this drawing I didn't take too many artistic liberties because the images used are very symbolic and well defined. Here is a picture of my family on a naval ship taken a number of years ago. 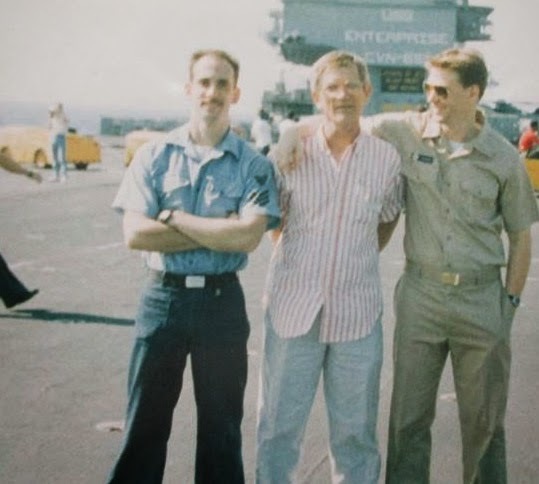 Gary, Pop and Jim all had a pretty special day together on board while both of my brother-in-laws were on active duty. I'm very proud of their service.